See more visuals with a huge 5.5” display screen, and capture more photos with a 13MP main camera and 8MP front-facing camera. Hear more audio with dual frontal stereo speakers, and express yourself more with a dual-tone design. Introducing the Desire 820 S Dual Sim: Do More of What You Love. The world’s first Octa-Core processor provides lifelike visuals, smooth gaming and fluid videos. Handle multiple apps without slowing down and enjoy razor sharp rendering speeds for seamless browsing, so you’ll keep up with the speed of life. 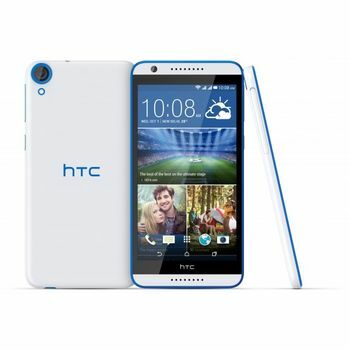 The HTC Desire 820 S Dual Sim has a 5.5” HD display that vibrantly brings pictures and video to life. The immense screen doubles as an enlarged camera viewfinder so you can better capture your favourite moments. Featuring a streamlined 7.74mm-thick design that effortlessly fits your grip. 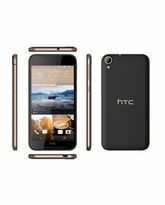 The HTC Desire 820 S Dual Sim features a 13MP main camera for high-resolution shots and HD video capture. It also features an 8MP front-facing camera for amazing selfies. You’ll get incredible footage from both sides. The HTC Desire 820 S Dual Sim doubles your performance. Access two different numbers and increase your productivity. Keep a separate business line with a different contact list, and stay productive wherever you travel. HTC BoomSound™ - impressive decibel outputs, less distortion: dual frontal stereo speakers create a rich, full sound you have to hear to believe. 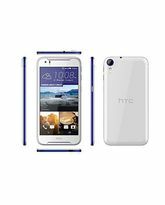 With its sleek, dual-tone design available in 9 styles and a massive 5.5” display screen, the HTC Desire 820 S Dual Sim features sizzling performance at a stunning value. Its Octa-Core processor gives you blistering performance speeds and its 13MP main camera and 8MP front-facing camera takes great photos and videos from both sides. Buy it today and do more of what you love. Do More of What You LoveSee more visuals with a huge 5.5” display screen, and capture more photos with a 13MP main camera and 8MP front-facing camera. Hear more audio with dual frontal stereo speakers, and express yourself more with a dual-tone design. Introducing the Desire 820 S Dual Sim: Do More of What You Love.MORE PERFORMANCEThe world’s first Octa-Core processor provides lifelike visuals, smooth gaming and fluid videos. Handle multiple apps without slowing down and enjoy razor sharp rendering speeds for seamless browsing, so you’ll keep up with the speed of life.MORE SCREEN SIZEThe HTC Desire 820 S Dual Sim has a 5.5” HD display that vibrantly brings pictures and video to life. The immense screen doubles as an enlarged camera viewfinder so you can better capture your favourite moments. Featuring a streamlined 7.74mm-thick design that effortlessly fits your grip.MORE STUNNING PHOTOSThe HTC Desire 820 S Dual Sim features a 13MP main camera for high-resolution shots and HD video capture. It also features an 8MP front-facing camera for amazing selfies. You’ll get incredible footage from both sides.MORE PRODUCTIVITYThe HTC Desire 820 S Dual Sim doubles your performance. Access two different numbers and increase your productivity. Keep a separate business line with a different contact list, and stay productive wherever you travel.MORE IMMERSIVE AUDIOHTC BoomSound™ - impressive decibel outputs, less distortion: dual frontal stereo speakers create a rich, full sound you have to hear to believe.BUY YOURS TODAYWith its sleek, dual-tone design available in 9 styles and a massive 5.5” display screen, the HTC Desire 820 S Dual Sim features sizzling performance at a stunning value.Its Octa-Core processor gives you blistering performance speeds and its 13MP main camera and 8MP front-facing camera takes great photos and videos from both sides. Buy it today and do more of what you love.